Good oral health not only gives you a beautiful smile; it is also vital to your overall health. For comprehensive and affordable dental services, look no further than Borealis Dental Studio in Lindstrom, MN. Our family dentists offer a variety of treatments for patients of all ages. Just let us know what you need and expect us to deliver the dental services you require in the most efficient manner possible. Invisalign is a very popular alternative to traditional wire braces. Consultations are free to see if this revolutionary treatment will work for you. Our clinic offers same-day crowns and bridges with our state-of-the-art technology. You will be amazed at the level of comfort and convenience this service provides! Have a Dental Emergency? Visit Us! Emergencies can happen anytime, anyplace. At Borealis Dental Studio, we are committed to alleviating pain by providing the appropriate treatment NOW. Walk-ins and same-day appointments will always be welcomed with compassionate service. Whether you need dentures, root canal treatments, or tooth extraction services, Borealis Dental Studio has you covered. 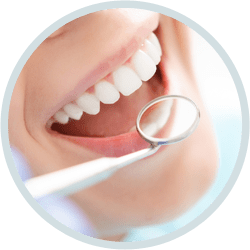 We have over 50 years of combined experience, so you can rest easy knowing we have the skills, experience, and know-how to satisfy all your dental care needs. To learn more about our dental services or to book an appointment, speak with our oral care professionals today.